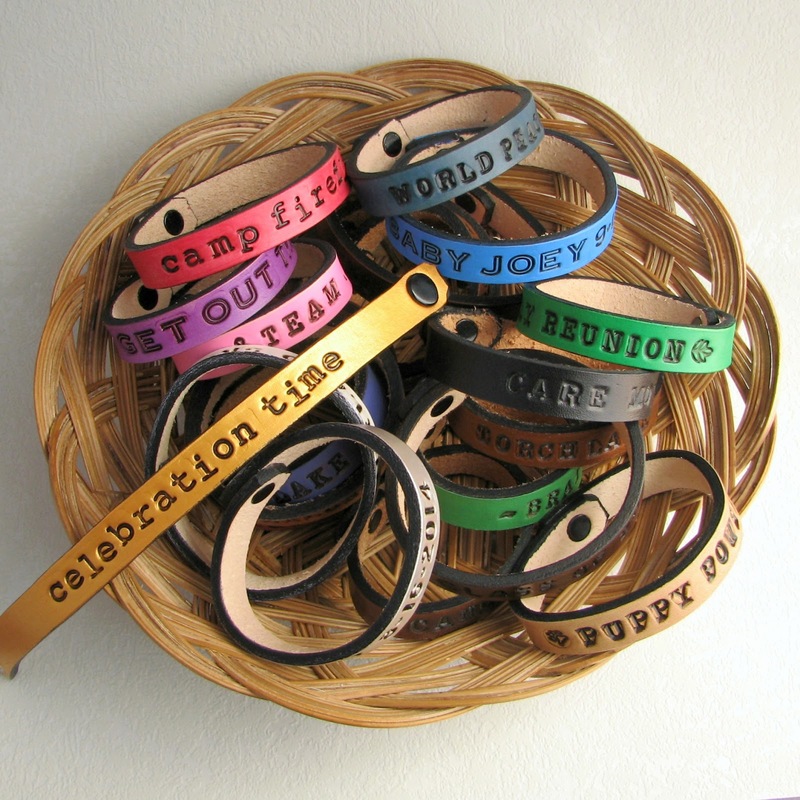 It's easier than ever to order my Personalized Leather Bracelets in sets. 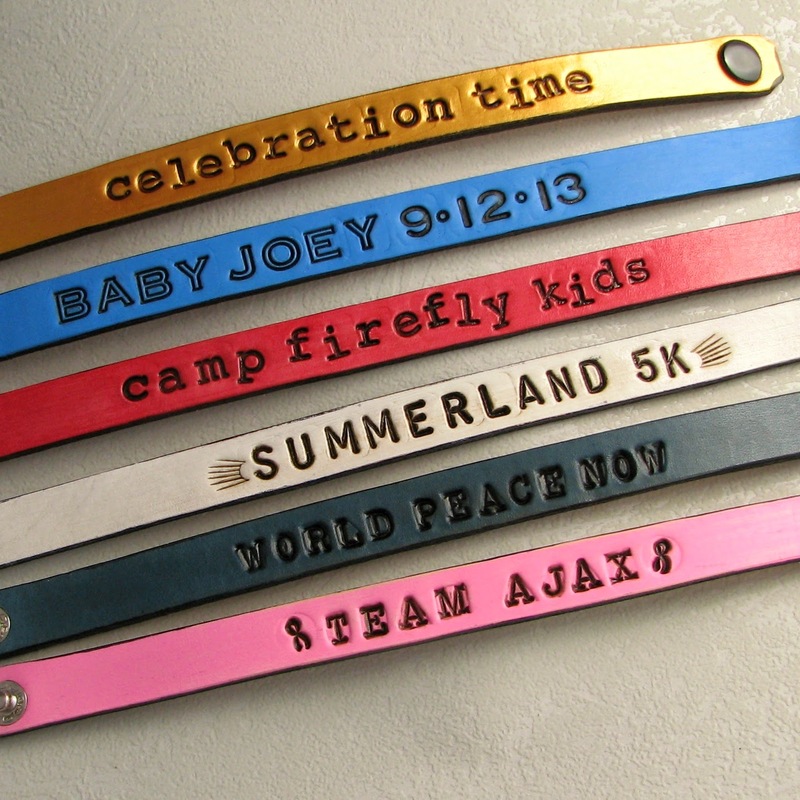 Commemorate special occasions, such as births, weddings or graduations, with a keepsake that will last for years. Choose from a variety of fonts and colors, then tell me what you want to say. I'm offering discounted prices on groupings as small as six pieces, which is a great option for bridal parties, family gifts or club accessories. Save 20% off the retail price of buying them individually. Or you can order one, two or three dozen at a time with graduated discounts based on quantity. Check out this listing in my Etsy shop ~ as always, feel free to contact me with any questions or inquiries.